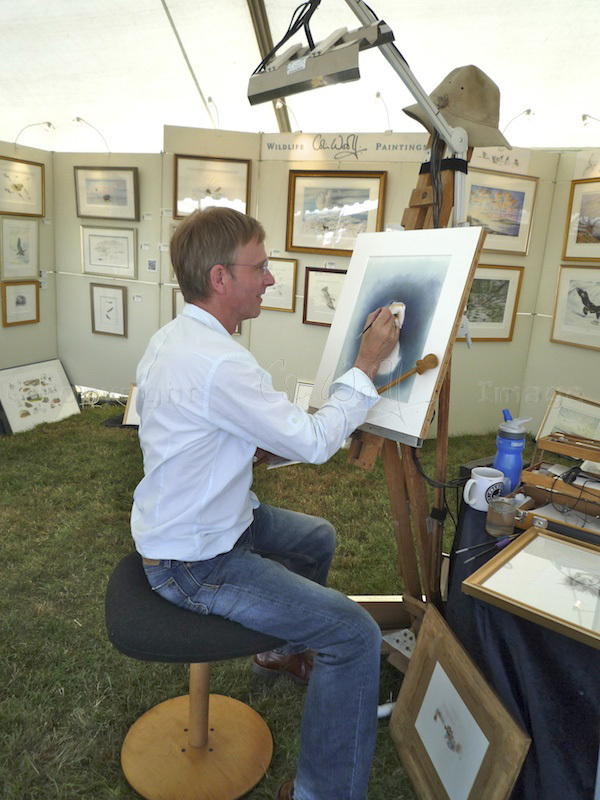 The barn owl study that Colin was working on at the CLA Game Fair is now finished. It has a real glow about it, and I love the dusky background! Thank you, Lyn! I love it, too. Thank you, David! You can tell how much Colin loves barn owls, I think! Thank you, Bob! 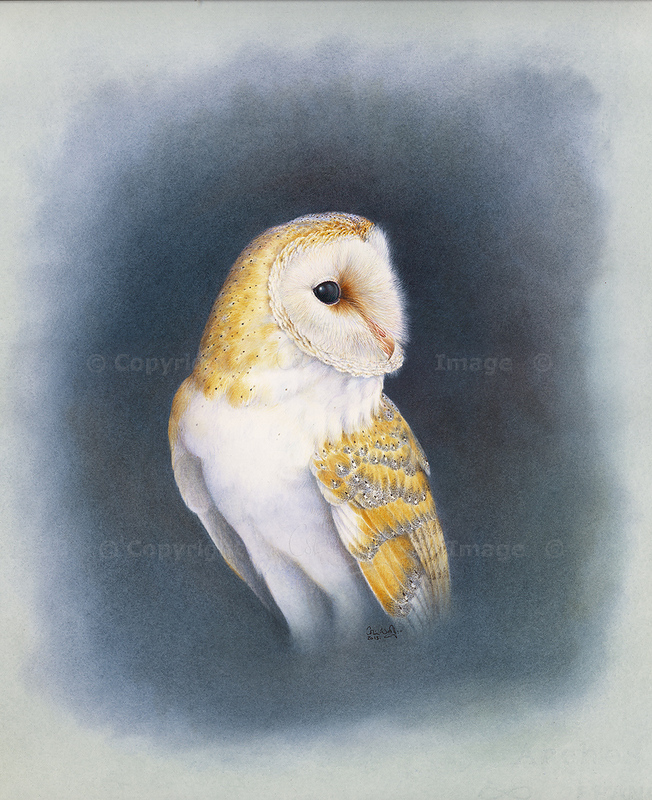 I love Colin’s barn owls especially. You can tell how much he loves them! Barn owls are pretty scarce here now, sadly – not helped by the fact that so many derelict buildings in the countryside (where they nest) are being renovated. My best sighting was in 2009 – we’d just moved to Scotland and were slowly driving down this remote glen at twilight. As we went past a ruined building, I caught sight of TWO barn owls sitting in the dark window, just staring at me. Heart-stopping! They were even too close for Colin’s 500! Thanks for visiting The Hazel Tree by the way – glad you liked it! One word immediately came to mind: Cyclops.